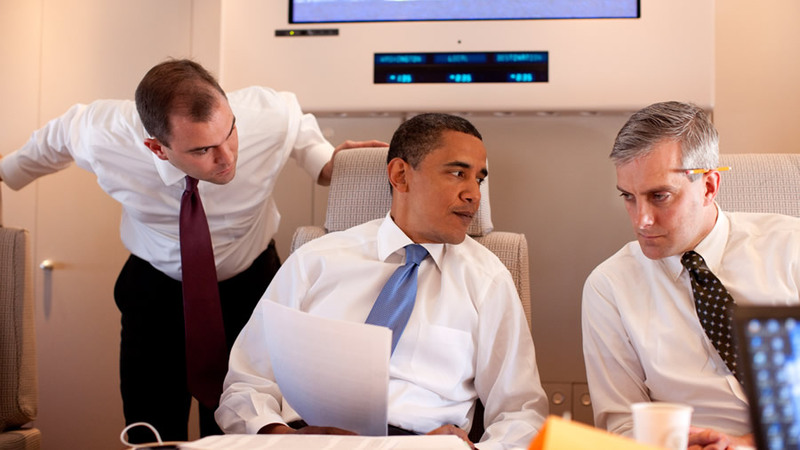 President Barack Obama confers with Deputy National Security Advisor for Strategic Communications Denis McDonough, right, and speechwriter Ben Rhodes on Air Force One en route to Cairo, Egypt, June 4, 2009. Rhodes’ name is now added to three other top Obama national security officials who are accused of improperly requesting the identities of Trump officials whose phone calls were intercepted by the NSA. New calls are coming for the Justice Department to launch a criminal investigation into the “unmasking” scandal swirling around a cluster of former Obama administration officials, The Daily Caller News Foundation Investigative Group has learned. The calls came as House Permanent Select Committee on Intelligence Chairman Devin Nunes identified a fourth Obama national security official as a “person of interest” who improperly “unmasked” Trump officials and leaked the information to the news media. In a letter Tuesday to the National Security Agency (NSA), the California Republican requested the agency report on improper “unmasking” requests made by Ben Rhodes, former President Barack Obama’s deputy national security advisor for strategic communications, according to Circa. As such, he was the number two ranking official on the National Security Council (NSC). The three individuals are Susan Rice, Obama’s national security advisor, CIA Director John Brennan and U.N. Ambassador Samantha Power. “It is obvious that Obama, Brennan, Rice, Power and Rhodes were involved in massive — underscore massive — unmasking of Trump people, friends and associates after Trump’s nomination and after the election,” DiGenova said. Nunes last week also asked Daniel Coats, Trump’s Director of National Intelligence (DNI), to look into the unmasking charges and accused the Obama administration of improperly seeking information on “hundreds” of Trump campaign and transition officials. The U.S. government records “incidental” conversations with American and foreign principals, but keeps their identity anonymous unless a specific intelligence official requests their identification for genuine national security reasons. But Nunes says the unmasking was conducted to spy on Trump officials. Former intelligence and national security officials agree it’s time to pursue a criminal investigation. “When you’re dealing with the political use of intelligence methods and capabilities with regards to unmasking, you have suspected criminal activity,” said Col. James Waurishuk (Ret.) a 30-year senior intelligence officer who served on the NSC and later served as deputy director for intelligence at U.S. Central Command. “To be using it or suspecting it’s been used for political purposes, that automatically transfers that whole effort into a criminal act. So that has to be investigated,” he said. Waurishuk also is vice president of the OPSEC foundation, a non-profit that represents retired intelligence and military officials. Col. James Williamson (Ret. ), who served in the Army Special Forces for 32 years in the intelligence field, agreed. “It’s clear to any layman that these requests were made for political reasons, not for national security reasons. It’s very unusual that there would be a request to unmask a U.S. citizen. 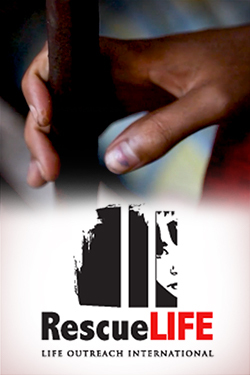 If we are truly going to exercise the rule of law, then bring it on,” he told The DCNF. Williamson said the investigation should be extended to Clapper. In the last days of the Obama administration, Clapper permitted all 17 intelligence agencies to share raw intelligence that once was exclusively held by the NSA, including unmasking information, for the first time. This may have permitted many previously unauthorized officials, including other Obama political appointees, to access NSA telephone intercepts of Trump officials with foreign leaders. The emergence of Rhodes in the growing scandal reopens an embarrassing chapter for the Obama administration, spotlighting his staff’s lack of experience in national security affairs. Before joining the number two spot at the NSC, Rhodes had no military or foreign policy experience. Thomas Ricks, a former Pulitzer Prize military affairs reporter for the Washington Post, wrote a scathing March 6, 2016 article on Rhodes in Foreign Policy Magazine, where he now serves as contributing editor. Rhodes once saw himself as a literary writer and in 2001 was in his second year of the MFA program at New York University, writing short stories when the Sept. 11 terrorist attacks occurred. He was majoring in creative writing. Ricks was not impressed with the young man. “Rhodes comes off like a real a******. This is not a matter of politics — I have voted for Obama twice,” he wrote. Rhodes also came under attack after he boasted in the same NYTimes Magazine article he duped all the White House reporters on the Iran nuclear deal. “The average reporter we talk to is 27 years old, and their only reporting experience consists of being around political campaigns. That’s a sea change. They literally know nothing,” Rhodes claimed.